Are you longing to learn how to become a top-level coach for professional women, and take the right marketing, business growth, and coach training steps to build success, confidence and impact in the work you love? 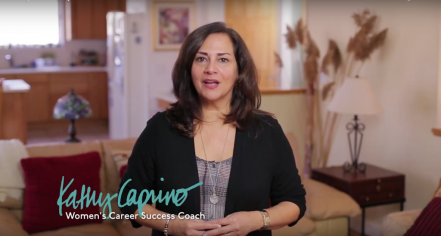 The Amazing Career™ Coach Certification training is for you! Interested in the next session? AND GET FREE VIDEO TRAINING on The 6 Critical C's to Building Your Successful Coaching Business FAST! *This is a Free 4-part video series. No credit card is required. You long to make a bigger impact, and create more financial and emotional reward, success and joy as a coach, but you’re struggling with exactly how to do it. Your coaching business IS growing, but you feel exhausted working so hard, that there’s no time or energy (or money) left over to live a joyful life. There are so many different opinions and options out there for you to follow, to market and grow, that you’re overwhelmed and confused about the best options for you specifically. You realize that you need additional marketing, business development, and coaching training to be the best coach you can be and to build your confidence. You want expert, high-level support from someone you can trust who is a renowned international career, executive and leadership coach and adviser to professional women. You want to learn from a professional woman who will give you real-world guidance from a place of integrity and honesty - someone who's been where you are, and created big success in ways that will be helpful for you to learn from. If this is you, you’re in the right place! ... and help them achieve amazing success, but you haven't been trained deeply or comprehensively enough in coaching or in the numerous other critical personal and professional growth modalities to make that happen. You know you need to learn new strategies and approaches to support your professional female clients to "dig deep, discover their right work, and illuminate the world with it, " but you don't know how. And you know that there's much more to coaching than so many of the standard training programs teach. You want to learn how to be the best at what you do. With so many different (and contradictory) business-building, coaching and marketing strategies out there, it’s frustrating (and expensive!) trying out one tactic after another, with dollars flowing out fast and no new clients coming in consistently. …and know that, without proper systems and a library of effective, proven resources, strategies and techniques, you are reinventing the wheel with every single client. You want "insider" tips and info from an internationally recognized coach, speaker, writer and thought leader who will talk straight and give you the feedback you need and want. You need and want to take steps this month to build more confidence and authority to attract the level of clients you long to support. I know exactly what you’re going through, and I’ve learned a better way - one that is integrity-filled, valued-based, purpose-driven, and authentic. And I'll be with you every step of the way in this course. Building of a powerful tribe on LinkedIn, with over 797,000+ followers, growing 1,000 a day! And I’m going to share with you the exact coaching, marketing, and business building steps I've found are essential in moving from struggle to success. But more importantly, together we'll arrive at proven strategies that will work for YOUR personal and authentic style and values. When I started my coaching business 13 years ago, I struggled hard. I made every mistake in the book — serious, costly mistakes — as I pursued the ‘latest’ trend, only to find myself exhausted and drained, without enough time or energy to effectively serve the clients I had or build my coaching business. And I wasted a TON of money. What I finally learned was that, to be successful and stand apart from the competition, we need to master powerful personal as well as business growth strategies AND address our OWN fears, challenges and confidence gaps (and we all have some!). I moved forward to build a system that effectively leveraged my expertise and training (including corporate leadership, therapy, coaching, spirituality, writing, etc.) in helping professionals build successful careers. I went from struggling to grow my business to leading an amazing tribe of engaged, talented women leaders and entrepreneurs around the world. Coaches who successfully complete my Amazing Career Project Coach Certification 17-week training have the opportunity to learn my signature system, The Amazing Career Project, which has been tested and proven highly effective in generating career growth and success for professional women around the world. It’s helped hundreds of women globally achieve personal fulfillment and enduring success in a wide array of markets, fields and industries. To hear ACP course members share their raves about the program, click here. I created this training program based on powerful findings from my yearlong in-depth research studies “Women Succeeding Abundantly” and “Women Overcoming Professional Crisis” which culminated in my groundbreaking book Breakdown, Breakthrough: The Professional Women’s Guide to Claiming a Life Of Passion, Power and Purpose. And now I’d love to train you in this exact model! Do you want to learn the same system I developed to help my clients -- and my business -- thrive? I’m a testimonial that this program works! I’ve totally transformed everything since last year, since starting with Kathy. Now I’m I building my coaching practice, completing my yoga teacher certification, I’m doing so many things! This morning, I was telling my husband as I was getting into my car to come to work, that I’m so happy! In the past year I’ve never felt like I do today. I’m free. I feel so happy. I didn’t know I was going to learn so much about myself through it all. I’m in a much better place because of it. There was so much uncertainty and there was so much I had to work through. Now I feel that the path is open. This program has given me a great sense of validation that I’m not off track as a coach. You’ve also given give me a lot of additional dimension about the internal work people need to succeed. You’ve spent a lot of energy and thinking into what’s blocking people, and you offer a systematic way to understand that, and a lot of depth for us to look with clients. Ultimately, many people know what they need to do, but can’t take the step they need. This program was very beneficial, to drill deep, and to do my own internal work as well. Now YOU can be trained in this proven process and use it in your practice, while also learning essential marketing and business growth strategies, with my Amazing Career™ Coach Certification Program! Many coaches and consultants today claim to know how to help their clients go from “I don’t know what I want” to “I know what I want and I know how to get it!” But truth-be-told, very few coaches have a proven model for change - and effective marketing strategies -- that reliably brings their businesses to the next level. Now you can – by becoming an Amazing Career™ Certified Coach in just 17 weeks! Knowing exactly how to help your clients break through their inertia to build an amazing life and career — is the ticket to career bliss that your clients are longing for. AND it’s key to infusing your coaching practice with the powerful tools it needs to thrive in today’s competitive marketplace. Not only will you get access to my complete Amazing Career Project program, I’m also sharing vital information that other coach training programs fail to address – how to realistically and effectively earn money and marketing yourself successfully to create more profit and passion in work you love. Through the knowledge you’ll gain in this program, and the licensing of this program for your own work, you’ll able to build your reputation as a successful coach who helps clients expand their success. And you'll have the powerful opportunity to resolve your own personal and business challenges that are keeping you from greater success, reward and recognition in your work. Whether you serve female entrepreneurs, small business owners, executives, corporate professionals, or job seekers, once you become an Amazing Career™ Certified Coach, you’ll be helping your clients step up to the power of true breakthrough in all areas of their lives and work. Get real-world help that will change how you do business. What Drew You To Kathy's Course? What Benefits Did You Receive? Would You Recommend It To Other Coaches? Top-level Market Exposure and Marketing Toolbox that would take years to build on your own! REFERRAL BONUS of over $193.00 for every individual who purchases the Amazing Career Project video series through your unique affiliate link. SPECIAL BONUS: Special discounts to Kathy’s marketing and coach training programs and in-person events, to learn all you need to take your coaching practice to the highest level of success and reward! When you add it all up, that’s a total value of over 39,000! *Certification and license to use the Amazing Career Project is granted only after a passing grade is achieved on the oral and written Certification exam at the end of the 17-week training. License to use the Amazing Career Project video series in your practice is good for one year from date of certification, and is for use with individual clients only. Re-certification is required annually. Immediately after your registration you’ll be guided to setup your unique username and password for the online member area, and then be directed toward a welcome page containing a few key homework assignments for you to complete prior to our program kickoff. The week before, we’ll unlock the Week 1 video, audio and PDF content for you to review prior to our first live training call. Then, on each following Friday for 17 weeks, you’ll be emailed access to the next week’s content with weekly, live training calls each Wednesday at Noon to 1:15 pm, Eastern. All calls are recorded. What’s the online course schedule? Ready to build your coaching to the next level? Now is the time to Find Brave and take BOLD action! Will you continue to stay stuck, over-committed on time and money, and struggling to get momentum, or will you choose to take advantage of a proven system to build your impact, marketing power and success? With the Amazing Career™ Certification Program, you can take advantage of my years of coaching research and experience and skip over the struggle that I went through years ago. It’s time to start serving your clients more deeply, AND build a growing business you love! Through the knowledge you'll gain in this program, and the licensing of the Amazing Career Project program for your own work, you'll learn how to build your skill and reputation as a successful change agent, and gain effective marketing and business growth strategies that will support your success in work you love. AND you'll be able to choose from the many options in front of you and how YOU want to run your business as a coach. As an added bonus, you'll learn critical information about yourself that will help you unlock essential keys to your own personal and professional success that would not otherwise be possible. I am thrilled to invite a committed group of coaches, consultants, and private practitioners from around the world to be trained in this proven coaching business development system. It's time to Find Your Brave and build more success and reward! As with any business or personal development program, it requires commitment and active participation to achieve the results you’re hoping for. What you put in is what you'll get out. 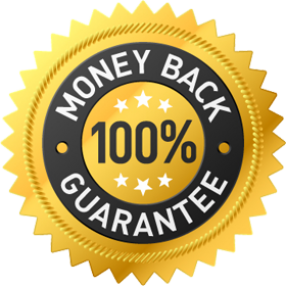 But if you are not satisfied with the content of the Amazing Career™ Certification Program, you may receive a full refund (minus a $50 process fee) up until the 10th day after the start of the program. Simply participate fully by joining the live calls, and completing all the assessments, exercises and homework given in the first 10 days, and sending your completed materials to gina@kathycaprino.com with your request. Please note: Refunds cannot be granted because of a member’s scheduling conflicts or financial challenges. In the case a member wishes to defer their participation from one course session to a later one, this will be considered on a case-by-case basis, and if allowed and deferment is granted, the deferred member will forego their eligibility for refund. Have any questions about if this program is right for you? With expert help and guidance — from a successful businesswoman, former corporate marketing VP, international career/executive/leadership coach for women, trained therapist, writer, and top media source who understands the needs and challenges of today's coaches — you’ll move forward in ways you never imagined possible.